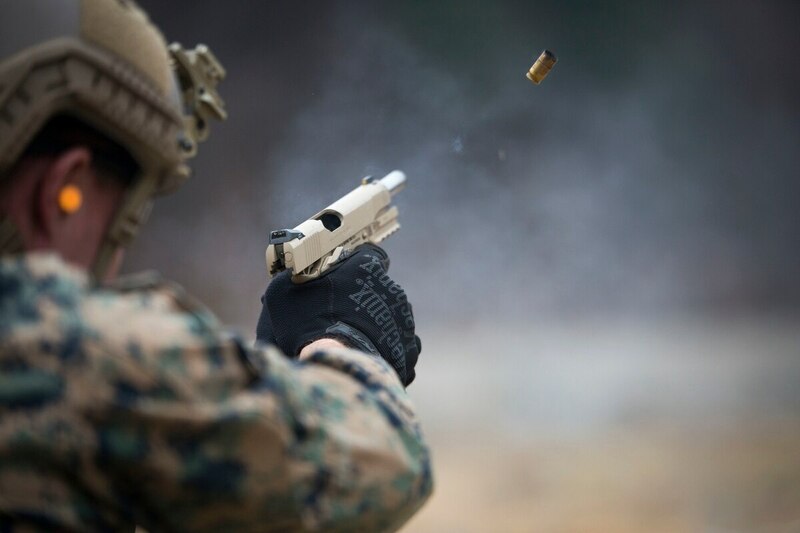 Army prepares to sell up to 10,000 surplus 1911 pistols. Here’s how you get one. With the stroke of a pen, as many as 10,000 Army surplus 1911A1 pistols could be available for sale to the public early next year. A provision in the 2018 National Defense Authorization Act explicitly orders the sale of between 8,000 and 10,000 of the venerable .45 caliber pistols. The 1911 has a storied history, and it influenced handgun design for more than a century. Having seen service in every war since World War I, the gun is a favorite among collectors and civilian shooters, many of whom modify variants of the 1911 for competitive shooting. In military movies, Sam Elliot carried the 1911 handgun while portraying famed Army Command Sgt. Maj. Basil Plumley in “We Were Soldiers,” a film depicting the 1965 Battle of Ia Drang and the soldiers of the 7th Cavalry Regiment during the Vietnam War. Once the approved, the surplus 1911s will be sold through the Civilian Marksmanship Program. The CMP is a nonprofit organization that educates people on responsible firearms use and conducts marksmanship competitions nationwide. It is a recipient of military surplus firearms for sales to support its mission. The NDAA awaits President Donald Trump’s approval before the transfer can take place. The rollout wouldn’t take place all at once, with the weapons set to transfer to the CMP from 2018 through 2020. The CMP sells another piece of U.S. military history, the M1 Garand, a .30 caliber rifle that was used in World War II the Korean War. The 1911A1 was replaced as the Army’s official sidearm in 1986, when the service fielded the M9 Beretta 9 mm pistol. That handgun is now in the process of being replaced by the Modular Handgun System, which includes the M17 and a compact M18, which are military versions of the Sig Sauer P320 9 mm handgun.